Plating Type Nickle, Chrome, Tin etc.. Working with a belief to make our customers satisfied, we have brought forward range of Brass Nut under our product gamut. 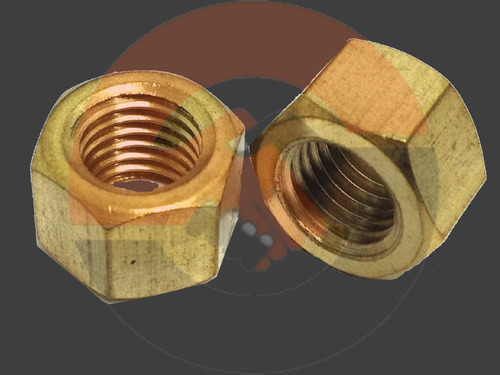 The Brass Nut we offer are developed using quality grade materials, cutting-edge technology and advanced machinery under proper guidance. Our offered ranges are appreciated by the clients for their rugged construction and optimum performance. Additionally this product is available at market leading prices. Packaging Details Customized Packaging as per client's requirement. Incepted in the year 1996, at Jamnagar (Gujarat, India), we, "Satyam Engineering Works," are a Sole Proprietorship firm that is considered as a well-renowned manufacturer and exporter of a comprehensive range of Brass Air Compressor Parts, Fittings, Anchors, Service Pump Parts, Pressure Spray Gun etc. Our complete product array is manufactured using the finest quality raw material and sophisticated technology. These are designed with high precision as per the defined quality standards. Our complete product array is highly appreciated for the features like corrosion resistance, enhanced durability, excellent performance, easy installation and less maintenance. We offer these products in various specifications for meeting the specific requirements of our esteemed clients. We can also customize these products as per the specifications provided by the clients. Our qualitative products are exported the countries like Canada, USA, South Africa, etc.